The number of people who experience chronic pain in their daily lives increases as the population ages. This pain equals profit for the drug industry, which sells an astounding number of pain relieving drugs such as Tylenol® or the Non-Steroidal Anti-Inflammatory Drugs (NSAIDS) such as Aspirin®. What most people don’t know is that most of this pain and suffering is caused because our bodies are making a reduced amount of a natural hormone. This hormone is essential, without it humans would only live a day or two. Many people, and most doctors, do not know that a simple and natural bio-identical hormone replacement would relieve the pain in millions of people who experience symptoms ranging from chronic fatigue syndrome (CFS), fibromyalgia, multiple sclerosis, rheumatoid arthritis, lupus, asthma, polymyalgia rheumatica (PMR) and other conditions mislabeled as “autoimmune” diseases. This kind of hormone replacement would relieve the pain from any disorder with symptoms caused by inflammation. Small so-called physiological dosages of this natural hormone have been clinically effective in treating other conditions such as chronic allergies, various autoimmune disorders, ovarian dysfunction and infertility, gonadal dysfunction, allergic rhinitis, hyperthyroidism and diffuse goiter, chronic thyroiditis and diabetes mellitus, functional hypoglycemia, hirsutism, acne, and chronic cystic mastitis. Taking this hormone is surprisingly safe, despite the fact that most medical doctors will tell you it is the most dangerous drug that they can prescribe. Unlike Tylenol®, which sends thousands to the emergency rooms with liver failure caused by glutathione depletion every year; or aspirin, which damages tissues in the stomach causing ulcer-like lesions, there are no adverse side effects of this natural adrenal-produced pain relieving hormone. This is true at the safe physiologic doses that are ideally produced daily by our adrenal glands. Yet a deliberate campaign to steer doctors away from prescribing the hormone exists. Part of the fear of this hormone is that like cholesterol, vitamin D, and other similar substances; this adrenal hormone happens to have a specific chemical configuration that makes it a steroid. Like vitamin C, this essential hormone is inexpensive and threatens the profits of the drug industry. This hormone is one of several produced in every human body by the adrenal glands. Its discovery in 1949 garnered a Nobel Prize in medicine for the Mayo Clinic in 1950. The adrenal glands also have among the highest concentrations of vitamin C of any tissues in the human body. Sometimes vitamin C can ‘wake up’ the adrenals, and thus persons supplementing vitamin C experience pain relief simply by taking high-dose vitamin C. One theory as to why vitamin C may have such a profound effect on the common cold is that higher dosages allow the adrenals to make more cortisol. “That cortisone and cortisol are normal hormones of the adrenal cortix implies that in physiologic dosages they must be safe” – William Mck Jefferies, Safe Uses of Cortisol. During the summer of 2012, about one year after my brother and business partner Mike Till Sr. died, I developed a pain in my back and a shortness of breath that persisted. When I finally saw a doctor, my primary care physician suggested that I go to the emergency room. I was admitted for very low blood pressure. From an ultrasound, they determined that I had fluid in the pericardium, a sac that surrounds the heart. This fluid made it harder for my heart to beat. After an immediate surgical procedure to drain the fluid, I remained in intensive care for 10 days. A team of specialists tried to determine what was wrong. These experts suspected that I had a serious infection, but they could not culture any organism. Before this episode, I had waited for a long time before seeing the doctor. I tolerated the pain in my back and shortness of breath. Around 30 days after I was discharged from the hospital, the same symptoms appeared again and this time I immediately went to the ER. Again, I was put into intensive care while another team of five specialists tried to figure out what was wrong, again suspecting that I had an infection. None was found. Having no idea what was wrong with me, I began documenting this experience at the Vitamin C Foundation’s online forum. I spent another 10 days in intensive care, the second 10 day-stay in the span of two months, and one of the more brilliant specialists decided to try some “high powered” IV steroids; which I was told would elevate my blood sugar rapidly. Completely ignorant of steroids and cortisol, I resisted and asked my primary care doctor for intravenous vitamin C (IV/C) instead, and she ordered the IV/C at the hospital. 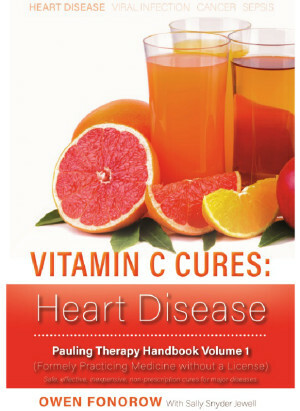 However, as Dr. Levy points out in his book Primal Panacea, no hospital in the United States at that time utilized intravenous vitamin C. In my case, the pharmacy wasn’t equipped, so I never received the vitamin C intravenously at the hospital and was discharged. Outside of the hospital, I immediately had a series of ever increasing vitamin C infusions, and may have reached 200 grams per session. I hoped and believed that it could cure whatever was ailing me; however vitamin C could not cure me. My ailment, general pain and malaise resembling Rheumatoid Arthritis, was not caused by an infection after all. I later learned that I had a serious adrenal hormone deficiency. The hormone that I wasn’t making enough of is the Steroidal Anti-Inflammatory cortisol. After this experience, I started reading about cortisol and scary effects of too much, as many authors characterize cortisol as the “stress” hormone, which it is because under stress we need and produce more. Eventually, I saw a reference to a book, SAFE USES OF CORTISOL, 3rd edition, by William Mck Jefferies, MD. This important book helped me to understand what was wrong and how to correct it. “Cortisol is the only essential hormone,” Jefferies begins his book by telling his readers. We can do without every other hormone for long periods, but if we are without cortisol, even for a single day or two, we die. What this means is that all of us are making some amount of cortisol, and we make more during the day and less during the night during sleep when levels of melatonin are high. However, if our adrenal glands are not able to make a sufficient supply (i.e., the amount the brain is currently demanding), the result is pain. Ever increasing pain occurs in the tissues that are deprived of this steroidal anti-inflammatory. At the higher dosage, my blood sugar began to rise, so I had to cut back. Eventually, I was able to lower the dosage to about 2 mg of methyl prednisilone without chronic pain, which is roughly equivalent to 10 mg of hydrocortisone. From this experience, I learned that most of the chronic pain suffered by humanity is caused by an adrenal malfunction that leads to less cortisol than the body requires. I also learned that today’s doctors are misinformed that so-called glutocorticoids (e.g., cortisol/prednisone/methyl prednisilone) are the most dangerous drugs in their medicinal arsenal. I found it almost impossible to get a long-term prescription for a “natural hormone” that kept me out of a wheelchair and that I attribute to saving my life. My mother spent most of her life in pain after she was diagnosed with Rheumatoid Arthritis. Her search for pain relief led her to Linus Pauling’s book on vitamin C; and the rest, as they say, is history. For her, vitamin C was the only substance that helped mitigate her pain, other than one cortisone shot she received at the Mayo Clinic. Had my mother known what I now know, her life would have been pain free, and I would probably know nothing about vitamin C.
Does Cortisol Harm or Enhance Immunity? Medical doctors are taught to be cautious of prescribing Cortisol-like steroids because of their negative effect on immunity. From my own experience, I now believe that doctors are trained incorrectly. This is yet another example where medical doctors are steered away from a lower cost alternative to newer, more expensive prescription drugs. “Concern regarding the occurrence of respiratory illness in such patients was enhanced by the knowledge that large doses of glucocorticoids (prednisone, hydrocortisone, etc.) could impair resistance to infection while masking the symptoms. It was, therefore, a finding of some surprise and considerable relief that years passed with patients consistently reporting that they had either no common cold or only very mild attacks. Most of these patients had no symptoms even suggestive of such disorders; but when symptom did occur, a prompt increase in the replacement dosage of glucocorticoid was often followed by a disappearance of the symptoms with recurrence when the dosage was returned to maintenance levels. During this time, other members of the patient’s families seemed to have the usual quota of respiratory illnesses, to the absence of such illness in the patients could not be attributed to lack of exposure to the viruses. An additional reassuring observation was that when patients with adrenal insufficiency developed respiratory infections, the increase in dosage of replacement gluccorticoid did not cause an increase in complicating bacterial infections such as sinusitis or bronchitis, and unless a bacterial complication developed, antibiotic therapy was not necessary” (Jefferies, pg 127 and 128). The possibility that cortisol might enhance resistance to infection was so contrary to the well-known effect of its impairment that it was initially considered with skepticism. Yet, a review of the medical literature revealed an impressive amount of evidence that physiological amounts of glucotrticoid (e.g., cortisol) can have a protective effect against infection. Postulate: Gastroesophageal reflux disease (GERD, aka heart burn) is caused and/or magnified by low Cortisol levels in the blood/tissues. My brother in-law, who is a few years older than me, was over for dinner. He has chronic heartburn or GERD, and has for years. It was then that I realized that my own esophagus had recently healed, and I no longer had chronic GERD pain. Recently, I suffered a recent attack of low cortisol, caused by a massive lung infection. Again, I got to investigate a major hospital from the inside. I was diagnosed with sepsis, kidney failure, and low blood pressure, but this time (March 2017) the doctors knew exactly what to do. They gave me lots of IV steroids! I was only in intensive care one night. However, when they switched me to a regular room, the cortisol was accidentally dropped from my chart. The first symptom I experienced, not knowing this had happened, was heartburn; meaning that my GERD had returned. Later, with generalized pain, I started to question whether I was getting the cortisol. It turned out that I wasn’t! This experience reinforced and educated me on how it feels when I am not getting this hormone. It is not a pleasant feeling, but one experienced daily by millions of older Americans. At one point several years previously, I had an over night stay where I forgot my cortisol (methy prednisolone at that time). Because of this, I missed a day. I experienced very little pain, so I thought perhaps my adrenals were starting to work more normally, and only took 1 mg the next day. I was only 3 mg short for two days (0, 1, 2 instead of 2, 2, 2) but I paid the price for an extended period, i.e. a week to 10 days! Pain started in the fingers, typical rheumatoid arthritis-like pain, all because I missed 3 mg. The question then became, how much would I need to increase my dosage in order to compensate, given the potential ill effect of higher doses of this glutocorticoid on my blood sugar? I have learned that the pharmacokinetics of methyl prednisolone are delayed, and pain relief is not like taking an aspirin for pain (the NSAIDS and hydrocortisone work faster, sometimes providing pain relief within 15 minutes. However, because of the nasty side effects, I don’t take NSAIDS.) The increase in pain may be delayed 48 to 72 hours after the dosage is declined, but then restoring the dosage apparently cannot stop the inflammation. The pain may go on for weeks despite a normal cortisol dose! Ouch! The bioidentical hydrocortisone has a more predictable pattern of pain relief, it takes less time to take its effect, more like a typical NSAID. It causes me anger to think of all the people (including my late mother) who had no idea that medical science had discovered exactly what causes and how to stop the pain; simple, natural hormome replacement. With this angst off my chest, the following is a copy of the letter that I sent my brother-in-law about what I did to eliminate my own heart burn/GERD. I now wonder if my success would have been possible without cortisol supplementation; or whether a slight lack of cortisol might be responsible for the inflammation in the esophagus that causes GERD. I could tell that you are still suffering from “heart burn”/GERD, and I know from experience it is like torture. While I may have told you some of this before, I want to review how I cured mine. I hadn’t even thought about the fact that I now sleep through the night without any heartburn. There are two valves or sphincters in the stomach, one to the connection to the intestines, where digested food is supposed to go, and the other at the top of the stomach, connected to the throat/esophagus. It is the upper sphincter on top of the stomach that causes the problem. It is supposed to keep the acid contents of the stomach, in the stomach. The stomach is designed for high acid, but the throat/esophagus is not. If stomach contents backs up from the stomach through the open sphincter into the esophagus, it will burn and damage the throat. This is the cause of the pain. And “they” are right in the commercials, in that this must be allowed to heal. (I will get to how I got mine to heal). There is a book you should read entitled WHY STOMACH ACID IS GOOD FOR YOU by Jonathan Wright and Lane Lenard. Surprisingly, LOW stomach acid often causes GERD because of poor digestion. The surprising fix, if this is the case, is to take stomach acid (Betaine HCL) with meals. Not intuitive, so read the book. Taking antacids interferes with digestion and turns the problem into a chronic condition. The other thing I learned is that the stomach completely empties six hours after a meal, and when it empties, as the lower sphincter relaxes and opens, the upper sphincter may open too, especially if you are lying down. (You’ll note the maximum pain and discomfort, like clockwork, is six hours after your last meal at night). One idea that is not always easy, is to eat more than six hours before going to bed and/or lying down so that you are upright when the stomach empties into the intestines. Barring that, don’t lie flat 6 hours after the night meal. When I felt the pain at night, I would immediately sit up for awhile, or if I lied down, I used enough pillows so I was at a 45-degree angle. This allowed gravity to help drain the stomach from the bottom sphincter. I know that the throat/esophagus can heal, because mine has, and I now get through the night without any pain; especially if we eat early. But it can take some time, and while it is healing, you have to avoid spicy/acid foods. In fact, instead of taking ascorbic acid vitamin C (a mild acid) I switched to sodium ascorbate vitamin C which is non acidic. One other factor in the healing may be due to the low dose prednisone (cortisol replacement) I have been taking (since I figured out that low cortisol production by my adrenals caused all those hospitalizations a few years back.) It turns out that if you aren’t making any cortisol, you die in 24-48 hours, so everyone has to be making some. It is not well recognized, especially by medical doctors, that as we age, like other hormones, we can make less cortisol. I believe that there would be much less pain and suffering in the world if medical doctors were to read William Mck Jefferies, MD ‘s book, Safe Uses of Cortisol. Furthermore, there would be more happy parents from those now considered infertile. The effectiveness and safety of this program of treatment has been clearly demonstrated in over one thousand patient years of experience, during which over 200 babies have been born to women taking small, physiologic dosages of cortisol or cortisone acetate throughout their pregnancies and postpartum periods, with no evidence of harm to either mothers or babies. Cortisol levels in the blood vary throughout the day, rising from a low in the early morning to the highest level in mid-afternoon. Blood tests can be used to monitor the varying levels, but having blood drawn throughout the day is challenging to say the least. In my experience, all-day saliva testing is as accurate, if not more accurate than blood testing (although most doctors are taught the opposite – that hormone testing from saliva is unreliable.) A “ZRT” day-long series of saliva samples showed my endogenous cortisol levels to be 20% below the “low” on their assay. This lab result explained the replacement hydrocortisone dose that I required at that time to move my blood cortisol into the middle of the normal range. These tests are available online and do not require a prescription from a doctor. If you suspect that your pain is due to low levels of endogenous cortisol, you can easily find out. If your cortisol is inadequate, the problem will be finding a medical doctor willing to act on your lab result. Vitamin C is a threat to the profitability of medicine. It is available without prescription, so medical doctors are deliberately made ignorant. They are not informed about any of the existing research or made aware of this essential substance’s medical potential. Cortisol is different because it is only available via prescription. It is also essential and poses a threat to the profitability of the drug industry, particularly the over-the-counter pain reliever industry. Even though cortisol is a natural, bio-identical hormone (as hydrocortisone) it is only available through medical doctors. In my opinion, medical doctors have been deliberately misinformed about the supposed dangers of “steroids” because a lack of cortisol in the human body creates a huge number of doctor visits.